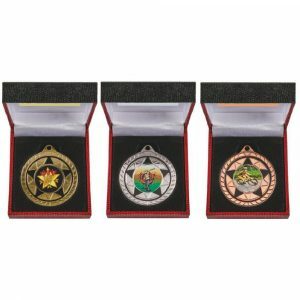 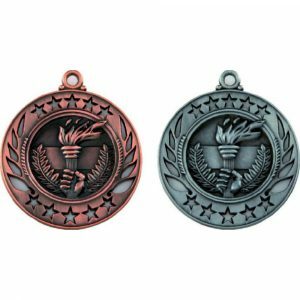 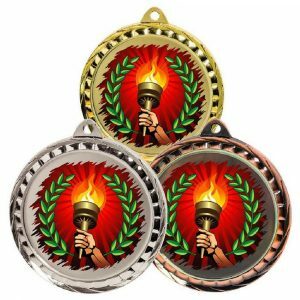 Whether you’re buying medals for a sports tournament, a creative event or a school competition, all of the participants will go for gold with gusto when they see our awards on your presentation table. 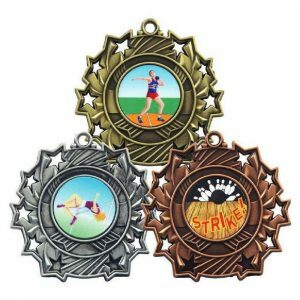 Our engravable winners’ medals feature appealing designs, so they make fabulous mementos of thrilling occasions – and they’re also ideal for any club and organisation on a budget. 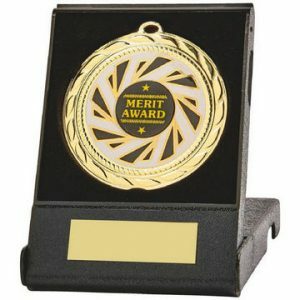 When it comes to suppliers of high-quality winners’ awards, we’re pretty sure we deserve to be in 1st place. 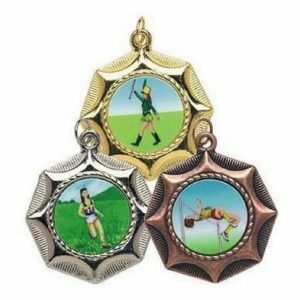 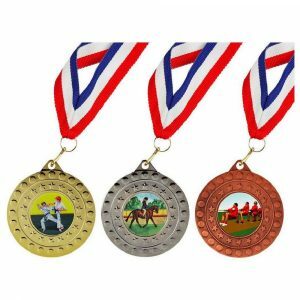 The gorgeous gold medals in our collection have universal appeal, so you can use them to reward the champions of football tournaments, gymnastics competitions, swimming galas, music festivals and more. 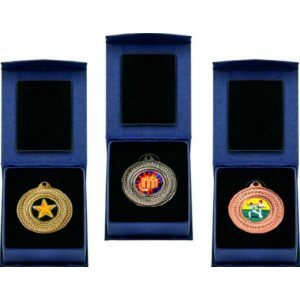 Beautifully crafted, they feature intriguing details and whichever award you opt for, you can buy a ribbon and a presentation box to go with it too. 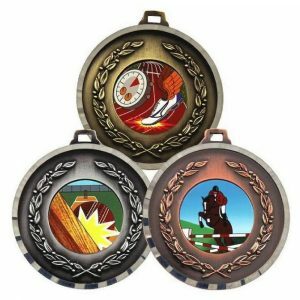 Some of our medals are decorated with elegant embossed images, while others boast full colour prints, so you’ll have a range of stylish designs to pick from. 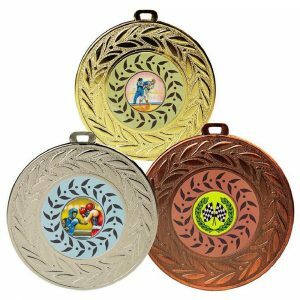 They can also all be customised by our in-house engraving specialists, so you can ensure that they feature the name and date of your competition, as well as the discipline in which the recipient triumphed. 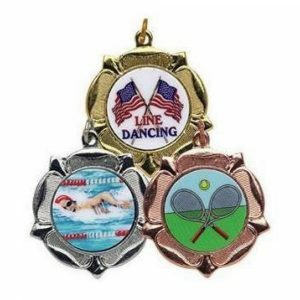 Each medal in our collection features a handy loop through which a ribbon can be threaded, enabling you to place your award around the neck of its winner with ease. 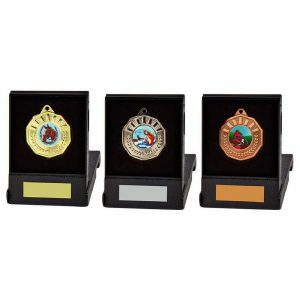 However, if you’d prefer to present each victor with a medal in a box, we sell separate presentation cases too. 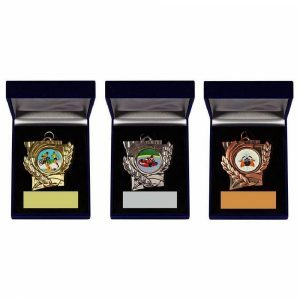 Equally as suitable for use as souvenirs for competitors who finish in 1st place in club and regional competitions as they are for use as prizes at fun events, our awards will bring a smile to any winner’s face. 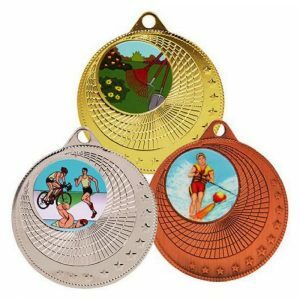 What’s more, you can order them online quickly and easily. 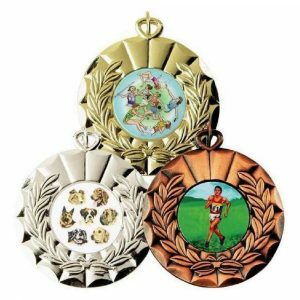 If you want to discuss your requirements with us first, however, just phone 020 8722 0250 or email sales@challengetrophies.co.uk.